Not everything at Little Bird Electronics is about Electronics. Make.do is a fun product to kick off your creativity. 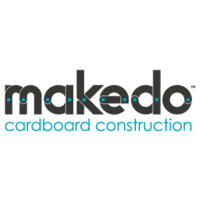 These fantastic screws and cutting tools allow you to be truly creative with cardboard. Make a suite of armor or a cubby house or Zelda Guardian all by screwing your cardboard boxes together!